In December 2014 Caroline Flack danced her way into the nation's hearts when she raised the BBC's coveted Strictly Come DancingGlitterball. Known for her throatylaugh, edgy humour and quick-fire wit, showcased on some of Britain's most popular spin-off shows, 2015 saw her thrust into the mainstream, hosting ITV's flagship talent show, The X Factor, with Olly Murs. 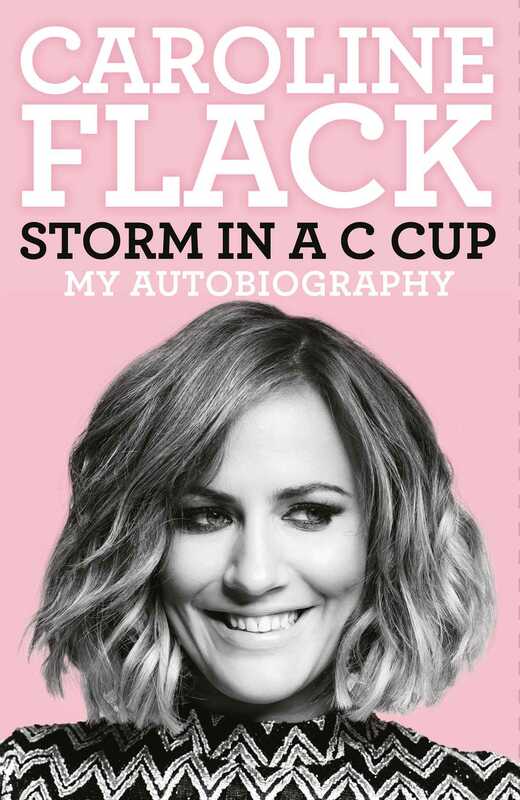 In Storm in a C Cup, Caroline reveals the laughter and pain behind the TV persona, from a sheltered Norfolk childhood shared with her twin sister, through her madcap student days, to the challenging career ladder leading to eventual TV success, not forgetting its dark shadow, when intrusive media attention turned the dream into a nightmare. She takes us behind the cameras at some of TV's most successful reality shows, including the tensions, stresses and unlikely friendships of the three-month adventure that was Strictly. Caroline wears her heart on her sleeve, documenting her joys and heartbreaks with the humour, resilience and unflinching emotional honesty that have made her of one of television's most popular celebrities working in television today.